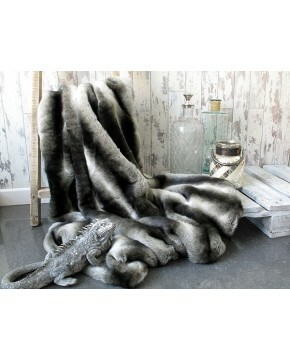 The Grey Wolf design is one of the designs that we introduced several years ago when we first began producing faux fur throws. It has remained popular ever since. Its pricing level ensures that it is affordable for most situations, and has graced many hotel rooms. It has a rich combination of earthy colours, and the ability to machine or hand wash the smaller fur throws in this design makes it very popular with pet owners; so great for pet blankets too! If you are looking for cheap sofa throws or a wolf fur throw for the bed in grey colours, then this is well worth consideration. As with any of our faux fur throws, if it is to be used on a white or very light leather sofa, we recommend customers request the ivory colour backings. The Grey Wolf faux fur is a striped fabric and the stripes run the length of each throw. So for example, a 150cm wide x 250cm long throw will have 250cm long stripes running down the length of the throw. We always give the width of the throw first, and so a 200cm wide x 275cm long throw will have 275cm long stripes. With some size options it may be possible to make your throw with the stripes running across instead of down the length, but you would need to contact us to discuss your requirements before placing the order. However, on a 150 x 100cm thrrw (59" x 39") the stripes run across the width, so are 100cm long. Aftercare - Dry cleaning recommended. Smaller sizes may be machine or hand washed with great care. Wash cool, do not ring, do not tumble dry, do not use bleach, do not iron. Wash separately, brush to restore pile/fur before totally dry. I am so pleased with this beautiful throw.Great service, highly recommend. 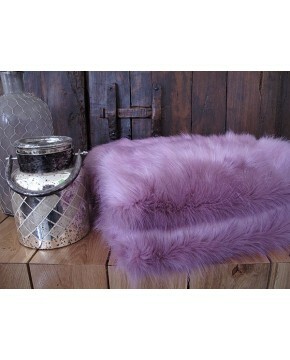 Description: Our Grey Wolf faux fur throw is an economically priced, some would say cheap, sofa throw or bed throw. Medium length fur with greys, browns and tan. Easy to maintain.